We have been thinking about that a lot lately. We started out thinking we could build a little niche business making clones of Restoration Hardware’s popular styles like the Lancaster and the Maxwell but making them in America instead of China, and that worked out ok, as far as it went. But we have become so much more than that. We are simply better than Restoration Hardware on so many levels. We make many of the same styles of furniture that they do, and we do make them here instead of there, but we offer so many more options in sizes, in leather, in fabrics, in trim and on and on. We tried to calculate how many possibilities we offer and, without even getting into adding Swarovski Crystal buttons to our tufted pieces (more on that later), it came to nearly ten million possibilities. Restoration can’t come close to that. *Authorized Mendota Hearth Dealer* You’re going to love our new look with an updated, and re-designed gallery feel. Our new outdoor patio collections cover every taste and style, traditional, transitional and contemporary patio furniture collections. Each store includes a design center with an on -staff degreed designer. Our unique @HomeDesign program in our Charlotte locations include in-store and at your home consultation with complimentary space planning, fabric and finish selection. Our @HomeDesign Services Site: <a rel="nofollow" target="_blank" href="http://www.fhcasual.com/designs.inc">http://www.fhcasual.com/designs.inc</a> Stores feature a Brown Jordan gallery showcasing their iconic contemporary American style. Our newly launched Tommy Bahama "in-store" store is an exciting way to create your very own private resort. We have a large selection of world renowned Sunbrella outdoor fabrics for quick ship and custom orders. Our stores feature a range of curated outdoor furniture & accessories including rugs, outdoor lighting, outdoor pillows and table top for alfresco dining, all co-ordinated into 6 fashion forward color stories. We look forward to sharing our new look and exciting outdoor collections with you. Our Design associates are there to help even if it's just to browse and get ideas there is no obligation to purchase. Come and see for yourself. Established in 1984 under the name of Design Upholstery and located in the heart of Charlotte, NC Historic Plaza Midwood area, Design Services of Charlotte, Incorporated, is a full-service furniture reupholstery and custom made furniture fabricating business, servicing the interior design trade as well as private individuals. We are in the business of building handmade custom furniture, designing furniture, and reupholstering services for residential and commercial clients. The owners, Michael and Sabrina Polly, have over 25 years experience in this field. They have a trained, professional staff, ready to meet your needs. We make all rustic home décor and so much more!!! Welcome to Classic Home Billiards. We supply the largest selection of pool tables in the South East. Our experienced team will advise you to the perfect pool table for you. We carry a number of excellent name brand pool tables including: A.E Schmidt Billiard Co, Diamond Billiard Products, Canada Billiard, and Olhausen. We deliver, set up, and install your pool table exactly where you want it and can answer any questions you may have regarding which type of pool table is best for you. Need a complete game room makeover? Visit our neighboring store, Classic Home Game Rooms (www.classichomegamerooms.com), for additional gaming accessories to complete your basement or gameroom. 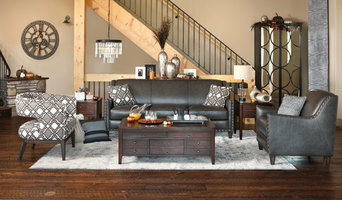 Tyndall Furniture has been offering unique, customizable, quality furniture to the Charlotte, NC area since 1984. We have five Charlotte area stores – the original location in Pineville, NC, our Fort Mill location in Indian Land SC, and our Tyndall Pedic Mattress stores at Blakeney Crossing, Mooresville and Wesley Chapel. When visiting one of our stores, you will find fashion, quality, value, and personable 'mom-and-pop' customer service. 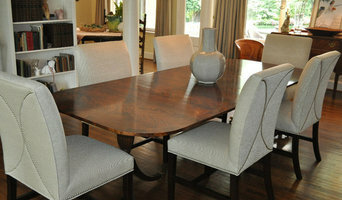 Our extensive professional sales and design experience is unmatched in the Charlotte furniture industry. International Shades is a luxury handmade linen and silk lampshade company. Traditional to contemporary, we started with our passion for beautiful interiors. From our own fabrics and styles, to the shipping of the orders, we bring the utmost attention to every detail. We invite you to stop by. I build custom one of a kind hardwood furniture with a specialty in marquetry and wood inlay. If it involves wood, I can make it, fix it, or customize it. Slate Interiors offers a daily-changing collection of original art, furniture, lighting & accessories at exceptional prices. Representing nearly 90 merchants & artists, Slate has quickly become the areas most coveted destination for both designers & savvy shoppers. 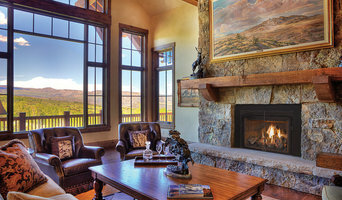 Carolina Rustica is a 12-year old company that has has grown through the years by offering an honest, customer-focused approach to selling fine North Carolina furniture and lighting. We operate a large retail store in Concord, NC and a website. We operate them together as one business and serve customers all across the country. Our philosophy is to be as transparent as possible to our customers and our manufacturing partners. We want you to know who we are and how we operate to increase your comfort level in buying from us. Internationally famous. Uncompromisingly luxurious. Rug & Home is the ultimate destination for home decor. 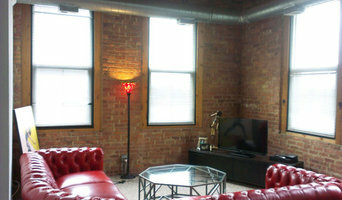 Experience 200,000 square feet of showroom space in three convenient locations or shop us online at www.rugandhome.com. We offer fanatical customer service, expert design consultants, and more than 50,000 rugs, furniture, art, and accessories in stock. We have an extensive and unique selection of customizable leather and upholstery furnishings, dining groups, bedroom solutions, accent pieces, lamps, mirrors, art, and much, much more. We carry the top name brands in home furnishings, plus our buyers specially curate one-of-a-kind treasures from around the globe. Fly here, drive here, or shop online – an entirely new world of home design awaits you! ABOUT FARMWOOD Growing up we had “supper” time. The whole family sat down together at the table to eat and talk about the day. Many, many memories were created at our table throughout the years. Our table had its share of plenty good, bad, funny and sad events. It also served many functions, sometimes acting as a seat, a desk, or a workbench. Yes, it could pull its own weight in our house. Farmwood believes the “heart” of the family is its table and it is as much a member of the family as is each person. Because of this, we create well built, affordable, real wood furniture that becomes the critical, central gathering place for your family and friends. We wish you a lifetime of warm memories around your table. OUR TABLES AND BENCHES We hand craft our tables, benches, and furnishings ourselves, one at time. Each piece of furniture is built with real wood, almost exclusively select yellow pine. It is strong enough to hold up to heavy use but soft enough to withstand nicks and dings that add to the its character. Several stain and paint variations are available on our semi-custom line, however we can fully customize an order upon request. Following the stain, two coats of matte varnish are applied to seal and finish the piece. Um sich ein umfassendes Bild über das Angebot verschiedener Möbelmarken zu verschaffen, können Sie das Angebot vieler Designmöbel-Hersteller online durchstöbern. Hier können Sie bequem von zuhause Einrichtungsgegenstände durchstöbern und Möbelhersteller in Charlotte, NC vergleichen. Neben den großen Möbelmarken haben viele Online-Möbelshops inzwischen auch Showrooms in großen Städten eröffnet. Wer Designermöbel und Wohnaccessoires vor dem Kauf ansehen möchte, sollte einen Möbelladen aufsuchen. Hier erhalten Sie eine persönliche Beratung und können sich in Ruhe über die neuesten Trends im Möbel-Design informieren lassen. Rückversand: Lesen Sie, ob es nach den allgemeinen Geschäftsbedingungen möglich ist, Möbel bei Schäden oder Nichtgefallen zurückzusenden. Nicht jeder Möbelhersteller in Charlotte, NC ist in solchen Fällen kulant. Wer nicht genau weiß, was er möchte und auf eine Beratung nicht verzichten will, für den ist der Besuch von Showrooms oder Möbelgeschäften in Charlotte, NC hilfreich. Hier können Sie neue Kollektionen großer Möbelmarken begutachten. Da viele Möbelstücke auf Abbildungen anders wirken, ist es immer gut sich selbst ein Bild hinsichtlich der Farben, Stoffe oder Bezüge zu machen. Trotz Produktbeschreibungen der Möbelhersteller: bei großen Möbeln wie Betten oder Sofas ist es wichtig, dass Sie vor dem Kauf Probe sitzen oder liegen. Bevor Sie eine bei einem Online-Shop bestellte Möbel zurückschicken müssen, besuchen Sie lieber einen Showroom oder ein Möbelhaus in Charlotte, NC. Oft findet man in den Ausstellungen auch noch das ein oder andere Accessoire. Durchstöbern Sie die Profile der Anbieter und speichern Sie tolle Produkte in Ihren Ideenbüchern. Um einen bestimmten Hersteller oder eine Möbelmarke in Charlotte, NC zu finden, können Sie diesen Namen in die interne Suche eingeben. Informieren Sie sich über die allgemeinen Bedingungen der Versandhäuser und lesen Sie die Bewertungen und Empfehlungen anderer Kunden, bevor Sie einen Möbelanbieter kontaktieren.